Networks are at the heart of how we live today. Networks generate transnational zones of action, bring together communities, circulate knowledge and information, expand spheres of influence, contaminate ideas, germinate exchanges, foster innovation, and facilitate distribution of power. However, networks are unfairly distributed and closely monitored. Geopolitical injustices and dominant political and economic forces mean that networks can foster segregation, facilitate hyper-centralized forms of citizen surveillance and control, fragment living space and experience. These developments of the network society generate social tensions, which invest the task of understanding networks in their many manifestations -including cultural ones- with social and political urgency. In Networked Bodies at Watermans we want to explore networked performance practices with a view to considering how they transform live (embodied, disembodied and trans-bodied) performance practices. We are keen to consider the many, increasingly well documented, exciting possibilities these present to live performance, as well as their potential downsides. Speaking for the devil (so to speak), we ask: do these practices raise any ethical concerns through the use of surveillance and control, fragmentation of space and experience, alienation or even exploitation of their participants? Networked Bodies will aim to look beyond shiny appearances and into the -occasionally dirty- folds of the networks (and the bodies). 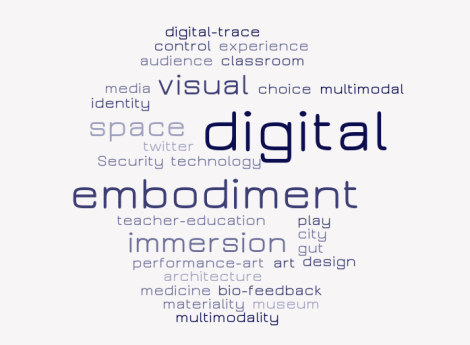 This entry was posted in Events and tagged body, networks, performance. Bookmark the permalink. Sound Studies: Mapping the Field will be the title of the second international ESSA conference. It will take place at the University of Copenhagen, June 27-29, 2014. Among the themes are: Case studies that testify to the recent changes within sound studies, theoretical reflections on sound studies’ futures, methodological papers testing the inter- or trans-disciplinary approaches of sound studies, historical papers that may help understand and contextualize the current developments, papers addressing how the sound industries take part in the recent developments, sound design futures, and presentations of contemporary artworks that incorporate sounds. This entry was posted in Events and tagged conference, sound studies. Bookmark the permalink. 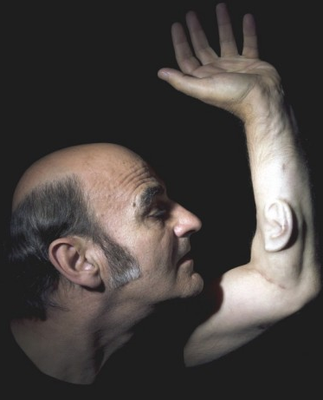 This seminar follows a presentation by Stelarc on the 24th October. Visit V2_ for further information. This entry was posted in Events and tagged body, sound, technology. Bookmark the permalink.